At CrossfitHPU Friday is benchmark day. Crossfit.com explains that benchmark workouts serve to measure and benchmark your performance and improvements though repeated, irregular, appearances in the “Workout of the Day”. The first 6 benchmark (named) workouts were released in 2003. They were “Angie, Barbara, Chelsea, Diane, Elizabeth, and Fran. Since then another 15 girls have been added to the list, Helen, Isabel, Jackie, Karen, Linda, Mary, Cindy, Nicole, Eva, Kelly, Lynne, Amanda, Grace, Annie and Nancy. Why “the girls’? Greg Glassman (the founder of Crossfit) explained that anything that left you flat on your back, looking at the sky asking “what just happened to me?” deserved a females name. The hero workouts are named after crossfitting soliders, law enforcement officers and fire fighters who have died in the line of duty. J.T aroused my curiosity so much that I did some research into the hero workouts. 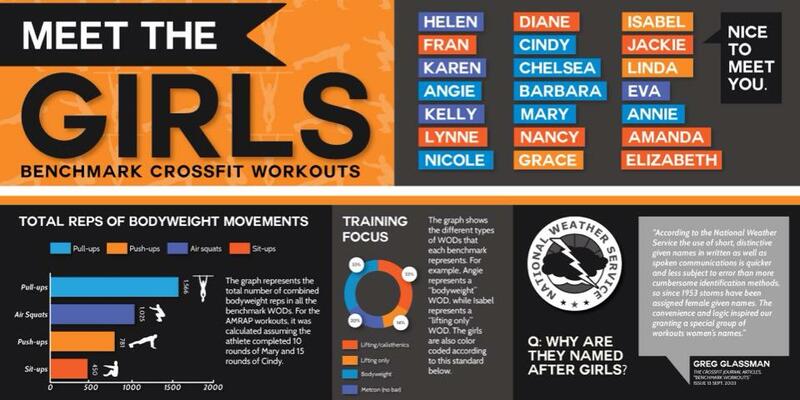 I tried to find out who designed each workout, I was curious to know whether their friends or family had a say (eg J.T loved all things shoulder related) or if someone at crossfit headquarters just matched up a name with a workout. Unfortunately I could only find lists of the workouts and information I already knew, so if you are reading this and know please enlighten me. One thing you don’t need to do much research to know is that the hero wods are insane! They have been conceived and are intended to be performed with intense effort, in honor of the fallen Hero. They also tend to be longer in duration and require just as much mental strength as physical. 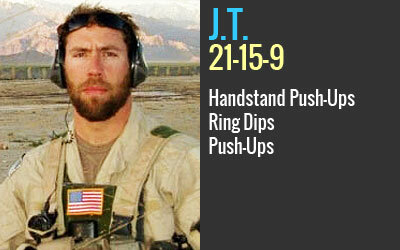 The ethos of a Hero WOD is that you don’t quit. They didn’t quit. Why would you? 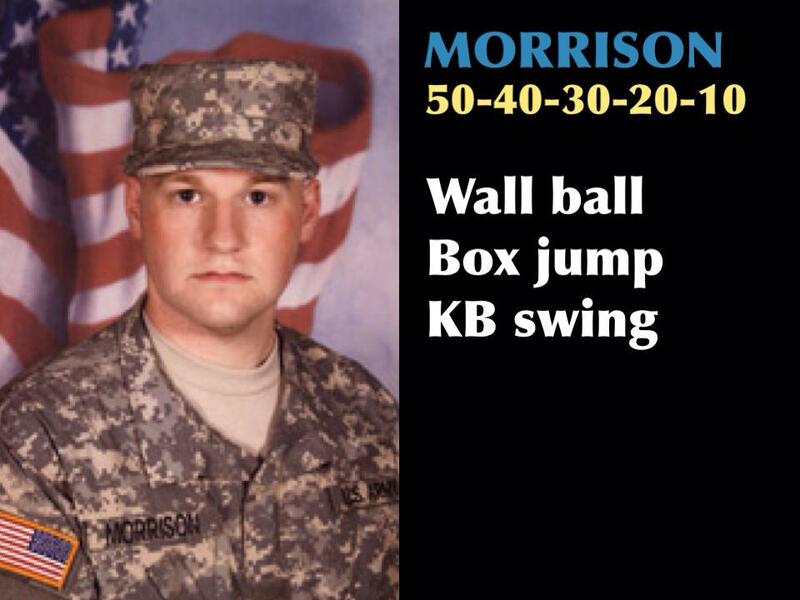 Today at Benchmark Friday the the hero was U.S. Army Specialist Scott Morrison who died at the age of 23 in Afghanistan. I reminded myself the reasoning behind the hero workouts and I was going to do my best to conduct myself in an honorable manner .. I was extremely curious to see whether I could get through the 50’s within the 20 minute time cap, heck if I’m honest I was curious to see whether I could do 50 box jumps! Jumping is not one of my strengths .. I chipped away and stayed strong mentally and when time was called I had in fact not only completed the 50’s I was half way through the 40’s! I will never complain about a hero workout again, because by the grace of God go one of mine (or I).